At least 40 veterans died waiting for appointments at the VA Hospital in Phoenix, and there are additional VA hospitals around the U.S. that are being investigated for covering up long delays in treatment. Many of the 400 plus REBSEA members across the U.S. are veterans, and they have asked us to share their opinion of the Veterans Administration Hospital controversy. REBSEA is far from alone in wanting to learn about how the VA clinic issues have become so problematic. The prominent Veterans for Foreign Wars is asking people to come forward and share their personal stories about receiving treatment at Veterans facilities. “because timely access is key to a quality and responsive healthcare system, we need to hear real life stories, good or bad, not hearsay. Only then can we hold VA officials properly accountable for their actions or inactions.” Stated VFW National Commander William A. Thien. If you have a story to share we would encourage you to contact the VFW at 1-800-VFW1899. REBSEA members are stepping up outreach to support Veterans in their requirements for housing and financing. REBSEA is currently accepting applications for membership from Real Estate Agents and Mortgage Lenders interested in working with Veterans. 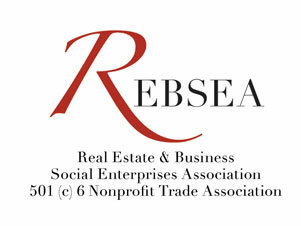 Thank you for your interest in learning more about REBSEA, the Real Estate & Business Social Enterprises Association, a 501(c)6 nonprofit trade association. If you have further questions or would like to schedule a call please let me know or you can just call anytime at 855 352 4973 EST. We hope that you appreciate the enormous potential of having a strong network of like minded Realtors and businesses who can work with ALL nonprofits to harness the power of business to solve social and environmental problems. REBSEA is the Future .....NOW !